For other people with the name Charles Jones, see Charles Jones. Corona Del Mar, California, U.S.
"The Father of Contemporary Animation"
Charles Martin "Chuck" Jones (September 21, 1912 – February 22, 2002) was an American animator, filmmaker, cartoonist, author, artist, and screenwriter, best known for his work with Warner Bros. Cartoons on the Looney Tunes and Merrie Melodies shorts. He wrote, produced, and/or directed many classic animated cartoon shorts starring Bugs Bunny, Daffy Duck, the Road Runner and Wile E. Coyote, Pepé Le Pew, Porky Pig and a slew of other Warner characters. Jones was born on September 21, 1912 in Spokane, Washington, the son of Mabel McQuiddy (Martin) and Charles Adams Jones. He later moved with his parents and three siblings to the Los Angeles, California area. In his autobiography, Chuck Amuck, Jones credits his artistic bent to circumstances surrounding his father, who was an unsuccessful businessman in California in the 1920s. His father, Jones recounts, would start every new business venture by purchasing new stationery and new pencils with the company name on them. When the business failed, his father would quietly turn the huge stacks of useless stationery and pencils over to his children, requiring them to use up all the material as fast as possible. Armed with an endless supply of high-quality paper and pencils, the children drew constantly. Later, in one art school class, the professor gravely informed the students that they each had 100,000 bad drawings in them that they must first get past before they could possibly draw anything worthwhile. Jones recounted years later that this pronouncement came as a great relief to him, as he was well past the 200,000 mark, having used up all that stationery. Jones and several of his siblings went on to artistic careers. During his artistic education, he worked part-time as a janitor. After graduating from Chouinard Art Institute, Jones got a phone call from a friend named Fred Kopietz, who had been hired by the Ub Iwerks studio and offered him a job. He worked his way up in the animation industry, starting as a cell washer; "then I moved up to become a painter in black and white, some color. Then I went on to take animator's drawings and traced them on to the celluloid. Then I became what they call an in-betweener, which is the guy that does the drawing between the drawings the animator makes". While at Iwerks, he met a cel painter named Dorothy Webster, who later became his first wife. Jones joined Leon Schlesinger Productions, the independent studio that produced Looney Tunes and Merrie Melodies for Warner Bros., in 1933 as an assistant animator. In 1935, he was promoted to animator, and assigned to work with new Schlesinger director Tex Avery. There was no room for the new Avery unit in Schlesinger's small studio, so Avery, Jones, and fellow animators Bob Clampett, Virgil Ross, and Sid Sutherland were moved into a small adjacent building they dubbed "Termite Terrace". When Clampett was promoted to director in 1937, Jones was assigned to his unit; the Clampett unit was briefly assigned to work with Jones' old employer, Ub Iwerks, when Iwerks subcontracted four cartoons to Schlesinger in 1937. Jones became a director (or "supervisor", the original title for an animation director in the studio) himself in 1938 when Frank Tashlin left the studio. He was actively involved in efforts to unionize the staff of Leon Schlesinger Studios. He was responsible for recruiting animators, layout men, and background people. Almost all animators joined, in reaction to salary cuts imposed by Leon Schlesinger. The Metro-Goldwyn-Mayer cartoon studio had already signed a union contract, encouraging their counterparts under Schlesinger. In a meeting with his staff, Schlesinger talked for a few minutes, then turned over the meeting to his attorney. His insulting manner had a unifying effect on the staff. Jones gave a pep talk at the union headquarters. As negotiations broke down, the staff decided to go on strike. Schlesinger locked them out of the studio for a few days, before agreeing to sign the contract. A Labor Management Committee was formed and Jones served as a moderator. Because of his role as a supervisor in the studio, he could not himself join the union. Jones created many of his lesser-known characters during this period, including Charlie Dog, Hubie and Bertie, and The Three Bears. During World War II, Jones worked closely with Theodor Geisel, better known as Dr. Seuss, to create the Private Snafu series of Army educational cartoons. Jones later collaborated with Seuss on animated adaptations of Seuss' books, including How the Grinch Stole Christmas! in 1966. Jones directed such shorts as The Weakly Reporter, a 1944 short that related to shortages and rationing on the home front. During the same year, he directed Hell-Bent for Election, a campaign film for Franklin D. Roosevelt. Jones created characters through the late 1940s and the 1950s, which include Claude Cat, Marc Antony and Pussyfoot, Charlie Dog, Michigan J. Frog, and his three most popular creations, Marvin the Martian, Pepe LePew, Wile E. Coyote and The Road Runner. Jones and writer Michael Maltese collaborated on the Road Runner cartoons, Duck Amuck, One Froggy Evening, and What's Opera, Doc?. Other staff at Unit A that Jones collaborated with include layout artist, background designer, co-director Maurice Noble; animator and co-director Abe Levitow; and animators Ken Harris and Ben Washam. Jones remained at Warner Bros. throughout the 1950s, except for a brief period in 1953 when Warner closed the animation studio. During this interim, Jones found employment at Walt Disney Productions, where he teamed with Ward Kimball for a four-month period of uncredited work on Sleeping Beauty (1959). Upon the reopening of the Warner animation department, Jones was rehired and reunited with most of his unit. In the early 1960s, Jones and his wife Dorothy wrote the screenplay for the animated feature Gay Purr-ee. The finished film would feature the voices of Judy Garland, Robert Goulet and Red Buttons as cats in Paris, France. The feature was produced by UPA, and directed by his former Warner Bros. collaborator, Abe Levitow. Jones moonlighted to work on the film, since he had an exclusive contract with Warner Bros. UPA completed the film and made it available for distribution in 1962; it was picked up by Warner Bros. When Warner Bros. discovered that Jones had violated his exclusive contract with them, they terminated him. Jones' former animation unit was laid off after completing the final cartoon in their pipeline, The Iceman Ducketh, and the rest of the Warner Bros. Cartoons studio was closed in early 1963. With business partner Les Goldman, Jones started an independent animation studio, Sib Tower 12 Productions, and brought on most of his unit from Warner Bros., including Maurice Noble and Michael Maltese. In 1963, Metro-Goldwyn-Mayer contracted with Sib Tower 12 to have Jones and his staff produce new Tom and Jerry cartoons as well as a television adaptation of all Tom and Jerry theatricals produced to that date. This included major editing, including writing out the African-American maid, Mammy Two-Shoes, and replacing her with one of Irish descent voiced by June Foray. In 1964, Sib Tower 12 was absorbed by MGM and was renamed MGM Animation/Visual Arts. His animated short film, The Dot and the Line: A Romance in Lower Mathematics, won the 1965 Academy Award for Best Animated Short. Jones directed the classic animated short The Bear That Wasn't. As the Tom and Jerry series wound down (it was discontinued in 1967), Jones produced more for television. In 1966, he produced and directed the TV special How the Grinch Stole Christmas!, featuring the voice and facial models based on the readings by Boris Karloff. Jones continued to work on other TV specials such as Horton Hears a Who! (1970), but his main focus during this time was producing the feature film The Phantom Tollbooth, which did lukewarm business when MGM released it in 1970. Jones co-directed 1969's The Pogo Special Birthday Special, based on the Walt Kelly comic strip, and voiced the characters of Porky Pine and Bun Rab. It was at this point that he decided to start ST Incorporated. MGM closed the animation division in 1970, and Jones once again started his own studio, Chuck Jones Enterprises. He produced a Saturday morning children's TV series for the American Broadcasting Company called The Curiosity Shop in 1971. In 1973, he produced an animated version of the George Selden book The Cricket in Times Square, and would go on to produce two sequels. Three of his works during this period were animated TV adaptations of short stories from Rudyard Kipling's Mowgli's Brothers, The White Seal and Rikki-Tikki-Tavi. During this period, Jones began to experiment with more realistically designed characters, most of which having larger eyes, leaner bodies, and altered proportions, such as those of the Looney Tunes characters. Jones resumed working with Warner Bros. in 1976 with the animated TV adaptation of The Carnival of the Animals with Bugs Bunny and Daffy Duck. Jones also produced the 1979 film The Bugs Bunny/Road Runner Movie which was a compilation of Jones' best theatrical shorts; Jones produced new Road Runner shorts for The Electric Company series and Bugs Bunny's Looney Christmas Tales (1979), and even newer shorts were made for Bugs Bunny's Bustin' Out All Over (1980). From 1977–1978, Jones wrote and drew the newspaper comic strip Crawford (also known as Crawford & Morgan) for the Chicago Tribune-NY News Syndicate. In 2011 IDW Publishing collected Jones' strip as part of their Library of American Comic Strips. In 1978, Jones' wife Dorothy died; three years later, he married Marian Dern, the writer of the comic strip Rick O'Shay. On December 11, 1975, shortly after the release of Bugs Bunny Superstar, which prominently featured Bob Clampett, Jones wrote a letter to Tex Avery, accusing Clampett of taking credit for ideas that were not his, and for characters created by other directors (notably Jones's Sniffles and Friz Freleng's Yosemite Sam). Their correspondence was never published in the media. It was forwarded to Michael Barrier, who conducted the interview with Clampett and was distributed by Jones to multiple people concerned with animation over the years. Robert McKimson claimed in an interview that many animators but mostly Clampett contributed to the crazy personality of Bugs, while others like Chuck Jones concentrated more on the more calmed-down gags. As far as plagiarism is concerned, McKimson claimed the animators would always be looking at each other's sheets to see if they could borrow some punchlines and cracks. Through the 1980s and 1990s, Jones was painting cartoon and parody art, sold through animation galleries by his daughter's company, Linda Jones Enterprises. Jones was the creative consultant and character designer for two Raggedy Ann animated specials and the first Alvin and the Chipmunks Christmas special A Chipmunk Christmas. He made a cameo appearance in the 1984 film Gremlins and directed the Bugs Bunny/Daffy Duck animated sequences that bookend Gremlins 2: The New Batch (1990). Jones directed animated sequences for various features such as a lengthy sequence in the 1992 film Stay Tuned and a shorter one seen at the start of the 1993 film Mrs. Doubtfire. Jones' final Looney Tunes cartoon was From Hare to Eternity in 1996, which starred Bugs Bunny and Yosemite Sam, with Greg Burson voicing Bugs. The cartoon was dedicated to Friz Freleng, who had died in 1995. Jones' final animation project was a series of 13 shorts starring a timber wolf character he had designed in the 1960s named Thomas Timber Wolf. The series was released online by Warner Bros. in 2000. From 2001 until 2004, Cartoon Network aired The Chuck Jones Show which features shorts directed by him. The show won the Annie Award for Outstanding Achievement in an Animated Special Project. Jones died of heart failure on February 22, 2002. He was cremated and his ashes were scattered at sea. After his death, the Looney Tunes cartoon Daffy Duck for President, based on the book that Jones had written and using Jones' style for the characters, originally scheduled to be released in 2000, was released in 2004 as part of disc 3 of the Looney Tunes Golden Collection: Volume 2 DVD set. Jones was a historical authority as well as a major contributor to the development of animation throughout the 20th century. He received an honorary degree from Oglethorpe University in 1993. For his contribution to the motion picture industry, Jones has a star on the Hollywood Walk of Fame at 7011 Hollywood Blvd. Jones, whose work had been nominated eight times over his career for an Oscar (winning the award three times: For Scent-imental Reasons, So Much for So Little, and The Dot and the Line), received an Honorary Academy Award in 1996 by the Board of Governors of the Academy of Motion Picture Arts and Sciences, for "the creation of classic cartoons and cartoon characters whose animated lives have brought joy to our real ones for more than half a century." At that year's awards show, Robin Williams, a self-confessed "Jones-aholic," presented the Honorary award to Jones, calling him "The Orson Welles of cartoons. ", and the audience gave Jones a standing ovation as he walked onto the stage. For himself, a flattered Jones wryly remarked in his acceptance speech, "Well, what can I say in the face of such humiliating evidence? I stand guilty before the world of directing over three hundred cartoons in the last fifty or sixty years. Hopefully this means you've forgiven me." Jones' life and legacy were celebrated January 12, 2012, with the official grand opening of The Chuck Jones Experience at Circus Circus Las Vegas. Many of Jones' family welcomed celebrities, animation aficionados and visitors to the new attraction when they opened the attraction in an appropriate and unconventional way. Among those in attendance were Jones' widow, Marian Jones; daughter Linda Clough; and grandchildren Craig, Todd and Valerie Kausen. Chuck Jones; Steven Spielberg (19 February 1990). Chuck Amuck. Simon & Schuster Ltd. ISBN 978-0671710248. 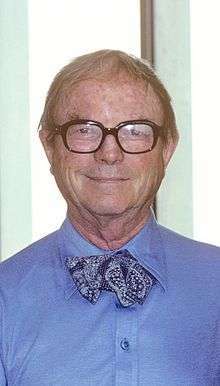 Chuck Jones (July 1997). Daffy Duck for President. Warner Bros. ISBN 978-1890371005. Stefan Kanfer; Chuck Jones (1 May 2000). Serious Business: The Art and Commerce of Animation in America from Betty Boop to Toy Story. Da Capo. ISBN 978-0306809187. Chuck Jones (27 December 2011). Chuck Jones: The Dream that Never Was. IDW Publishing. ISBN 978-1613770306. 1 2 3 Martin, Hugo (2002-02-23). "Chuck Jones, 89; Animation Pioneer". Los Angeles Times. Retrieved 2014-04-22. ↑ Letters of Note; accessed June 18, 2015. ↑ Robert McKimson account, michaelbarrier.com; accessed June 18, 2015. ↑ Shaffer, R. L. (2012-05-21). "Gremlins Blu-ray Review". IGN. Retrieved 2014-04-22. ↑ Hinson, Hal (1990-06-15). "'Gremlins 2: The New Batch'". The Washington Post. Retrieved 2014-04-22. ↑ Johnson, Malcolm (1992-08-15). "No Need To 'Stay Tuned' To This One". Hartford Courant. Retrieved 2014-04-22. ↑ Fields, Curt (2008-02-29). "Go Behind The Seams of 'Mrs. Doubtfire'". The Washington Post. Retrieved 2014-04-22. ↑ Botwin, Michele (2000-08-17). "Chuck Jones' Latest Creation Will Prowl the Web". Los Angeles Times. Retrieved 2014-04-22. ↑ "29th Annual Annie Award Nominees and Winners(2001)". Annie Award. Retrieved 2014-04-22. 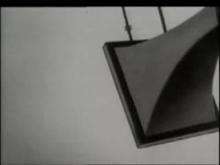 ↑ "Bugs on Video – The 1960s". The Bugs Bunny Video Guide. Retrieved 27 April 2013. ↑ "Honorary Degrees Awarded by Oglethorpe University". Oglethorpe University. Archived from the original on 2015-03-19. Retrieved 2014-04-22. ↑ Martin, Hugo (2002-02-23). "Chuck Jones". Los Angeles Times. Retrieved 2014-04-22. ↑ Jones, Chuck. "Honorary Award: Acceptance Speech". Academy of Motion Pictures, Arts and Sciences. Retrieved February 21, 2013. ↑ Anderson, Paul (January 13, 2011). ""The Chuck Jones Experience" opens in Las Vegas". Big Cartoon News. Retrieved June 18, 2015. Barrier, Michael (1999). Hollywood Cartoons: American Animation in Its Golden Age. Oxford: Oxford University Press; ISBN 0-19-516729-5. Jones, Chuck (1989). Chuck Amuck : The Life and Times of an Animated Cartoonist. New York: Farrar Straus & Giroux; ISBN 0-374-12348-9. Jones, Chuck (1996). Chuck Reducks : Drawing from the Fun Side of Life. New York: Warner Books. ; ISBN 0-446-51893-X. Chuck Jones: Three Cartoons (1953–1957) – Roger Ebert discusses Jones' three films in the United States Library of Congress National Film Registry.